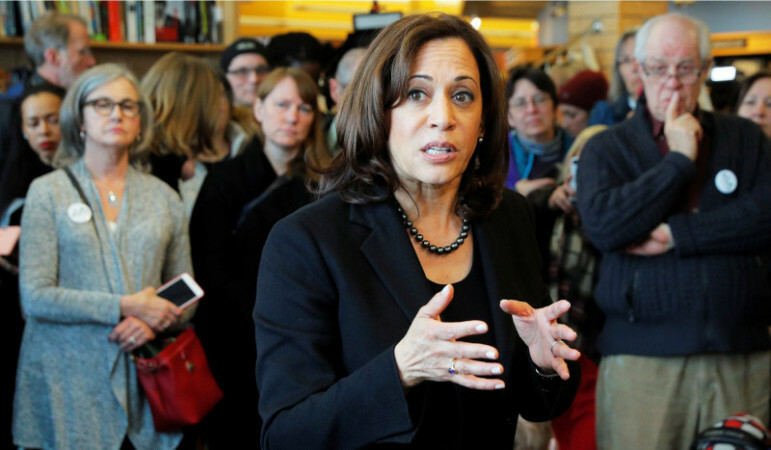 US Senator and presidential hopeful, Kamala Harris has announced she raised $12 million over the first quarter of 2019, setting an early high bar for the sprawling Democratic field challenging President Donald Trump in 2020. Half of the total haul for Harris was raised online, including more than $1.1 million in the final week of March, when she spent heavily to attract more donors ahead of the financial deadline. Harris’ overall average donation was $55, while her campaign said the average online contribution was $28. Harris’ number is likely to be eclipsed by Sen. Bernie Sanders of Vermont and former Rep. Beto O’Rourke of Texas, who each raised about $6 million in the first 24 hours of their campaigns, but it establishes a benchmark for the other Democrats competing for donors in a crowded environment. Harris’ campaign stressed that she’s seeking donations only for the primary election — and that 99.45 percent of her donors can contribute again because they didn’t hit the maximum for the primary and general elections. In a news release, Harris said she had received 218,000 individual contributions during the first quarter and 98 percent of those contributions came in amounts smaller than $100. Harris was born in Oakland, CA, to a Tamil mother and a Jamaican father.